What does Kumaresh mean, details, origin, short & easy attributes? Meaning of the name Kumaresh is 'Lord of youth'. Kumaresh is a name of Hindu / Indian origin, and is commonly used for males. The name number for Kumaresh is '6'. Click here to get the numerological analysis for the name 'Kumaresh'. Kumaresh is baby boy name mainly popular in Hindu religion and its main origin is Hindi. Kumaresh name meanings is Lord of youth. Kumaresh is written in Hindi as कुमारेश. Other similar sounding names can be Kumareshan. Each letter meanings in Kumaresh Name. Popular personalities with Kumaresh Name. 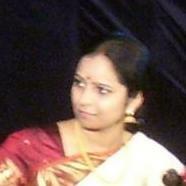 Dr. Jayanthi Kumaresh is a carnatic music classical vainika and indian classical music. She plays Saraswati veena. Dr. is also known as Veenai Jayanthi.